Most people attending comic-book conventions go there in search of original art, rare toys, geeky collectibles or celebrity autographs. 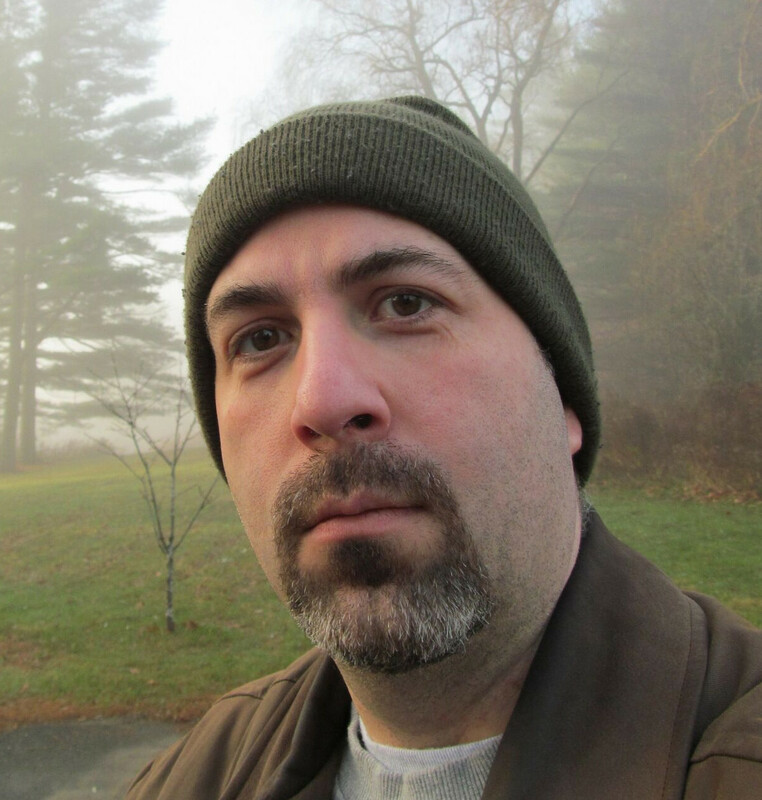 I look for dead things. As I wandered the aisles of Rose City Comic-Con in Portland earlier this month, my eyes kept taking in images of the dying and the deceased. Many of the attending artists, I found, were selling artwork and prints of endangered or extinct species. This included plenty of images of dinosaurs — you’d expect that from such an imaginative crowd — but also a fair share of tigers, rhinos, orangutans and polar bears. And then there was one of the most unusual items I found at this year’s convention: a tiny pack of playing cards devoted to extinction. 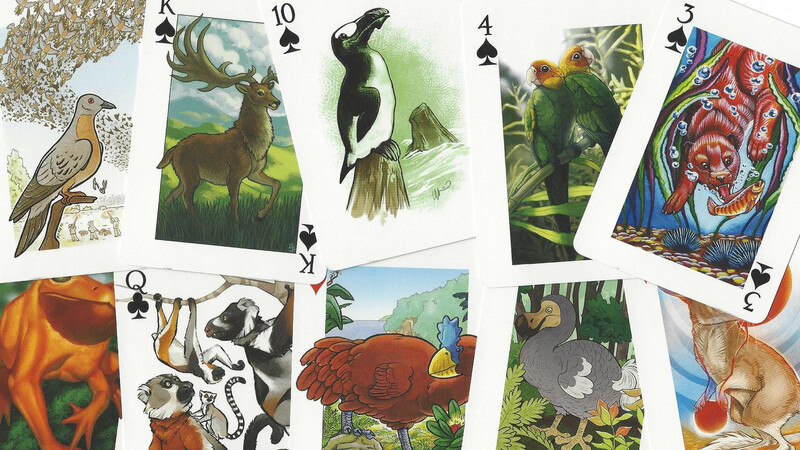 Called simply “The 6th Extinction,” it’s like any normal deck of cards — except that in addition to your traditional hearts and clubs, each card also contains a painting or drawing of a species that has been lost due to human activity. The images, though small, are incredibly well executed. Thirty-four wildlife illustrators and cartoonists, including publisher Roz Gibson, provide 54 paintings of lost species ranging from the ivory-billed woodpecker to the Japanese otter and from the thylacine (Tasmanian tiger) to the golden toad (the only amphibian represented in the collection). There are even Joker cards, each depicting a lost hominid like the Neanderthal. The art packs a lot of detail and personality into each painting. Most of the cards are quite realistic, like Kory Bing’s wonderful drawing of a perched passenger pigeon (which, bleakly, also shows hunters shooting at a passing flock in the background). 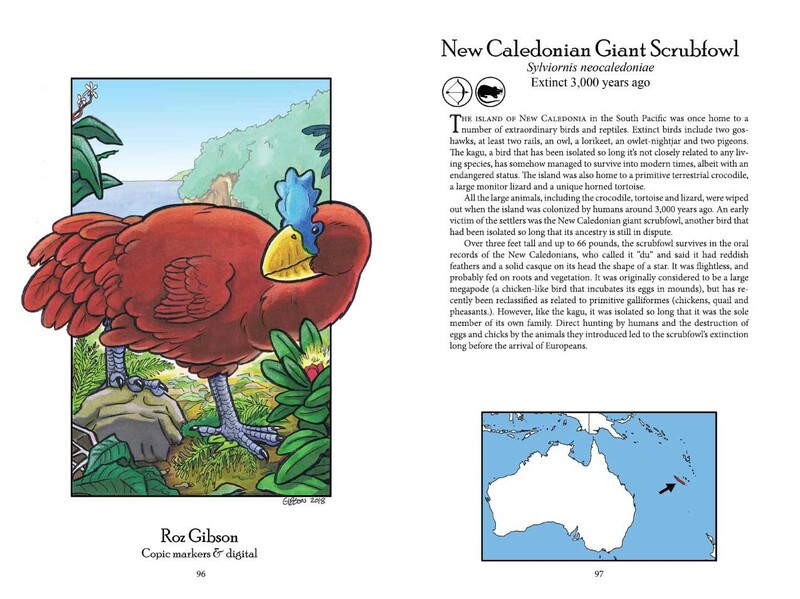 A few artists take a more cartoony approach, like Gibson’s own drawing of a New Caledonian giant scrubfowl. A handful of the illustrators use slightly more surreal approaches, such as Tracy Reynolds, whose image of the last Kosrae crake about to be eaten by invasive rats is probably my favorite drawing of the deck. Gibson published this project through Kickstarter earlier this year, and a few backers also got to also order a side project, a book called Art of the 6th Extinction which contains all of the paintings at a much larger size, along with histories of each species, maps of their historic ranges, and the reasons they went extinct. To me, the book (which I ordered from Gibson after the comic convention) is even more exciting than the card deck. For one thing, the large format provides a chance to really enjoy the detail the artists poured into each drawing — on the tiny card version of the passenger pigeon, for example, I didn’t notice the hunters. In addition, the stories behind the images are extremely well told. I’ve written about many of these extinctions, and even I learned a thing or two while reading this volume. Gibson doesn’t have an online store, but anyone interested in picking up either of these products can write to her at roz.gibson@gmail.com for ordering information. The card decks are $15 plus postage (around $4), while the books are $20 plus postage (about $2 media mail). She tells me there are only a handful of the books left, since they were intended only for high-level Kickstarter backers. If you’re interested, order quickly before they, too, go extinct.